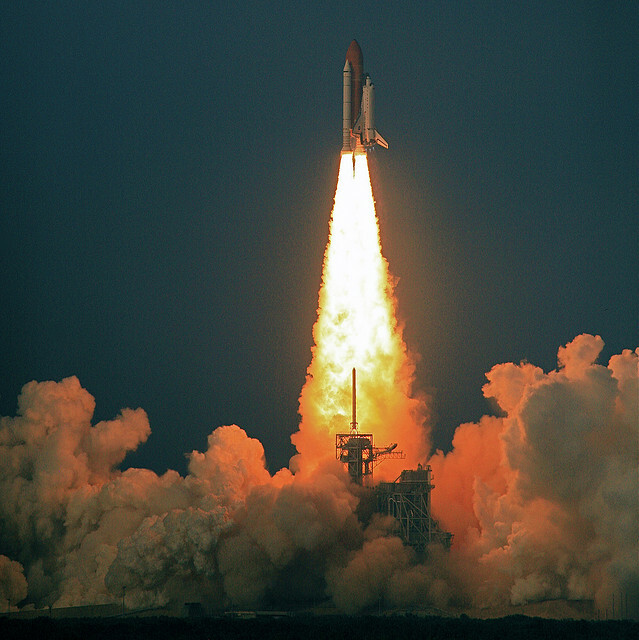 The Space Shuttle Endeavour launching in 2007, carrying astronauts into space and back. By 2027 Mars One plans to send colonists on a one-way journey to Mars. Image: Shuttle Endeavour Blastoff by Steve Jurvetson licensed under creative commons via flickr. Mars One, the privately-funded mission to send people on a one-way journey to live on Mars by 2027, is hitting the headlines again as astronauts and space travel experts condemn the plan as unworkable and unethical. Meanwhile, the company has released videos of candidates – shortlisted for the expedition from over 200,000 applicants – answering questions about how they would cope with the experience and whether they would consider cannibalism if food supplies ran low. The project has come under fire for both its technical feasibility and the ethics of establishing a colony with no means of return to Earth – and for the plans to televise everything live with no physical means of intervention or assistance to the colonists. Britain’s first astronaut, Helen Sharman, who travelled to the Mir space station in 1991, has called the Mars One mission “morally reprehensible” for offering no hope of return: “However old people are, however much they say they want to go on a one-way mission, people should be thinking about the possibility of returning.” Sharman and other experts have warned that as yet we lack the ability to support a colony on Mars and that the risks are physically and psychologically too great for colonists, at least within the planned time-frame for the mission. Despite the risks, and the prospect of no return home, the Mars One mission has received over 200,000 applicants worldwide. The potential to make major scientific discoveries and to personally experience something no one has ever done before has been a big draw for many of the applicants, as has the opportunity to inspire people back home on Earth.³ Whilst this planned journey to Mars is unique so far in human endeavours, it builds upon a long history of journeys of exploration, starting with the migrations of human ancestors to remote corners of the world 1.8 million years ago. Understanding the motivations behind such travel is essential if we are to better understand our own past but also to better plan for our future. The ITC’s Why Travel? Project has been set up to explore the complexity of human travel motivations in the belief that a better and more realistic understanding of why we travel can and should be used to make better decisions about travel at individual and policy levels. The project brings together experts from across the arts, humanities and sciences, exploring cutting-edge research and modern movements like slow travel, as well as looking back into our evolutionary past and human history for insights into why we travel in the ways we do. For more information on the project, including expert views and news stories, see www.whytravel.org.